You can find all the information you need about our latest updates within our October 2018 newsletter, including our proud announcement that our shipments are now climate neutral thanks to our partnership with DHL, our preferred carrier. We are also proud to announce the launch of our brand new 32.768kHz temperature compensated oscillator, the GTXO-94, which is ideal for use as an RTC frequency reference thanks to to it's exceptional stability at 32.768kHz. 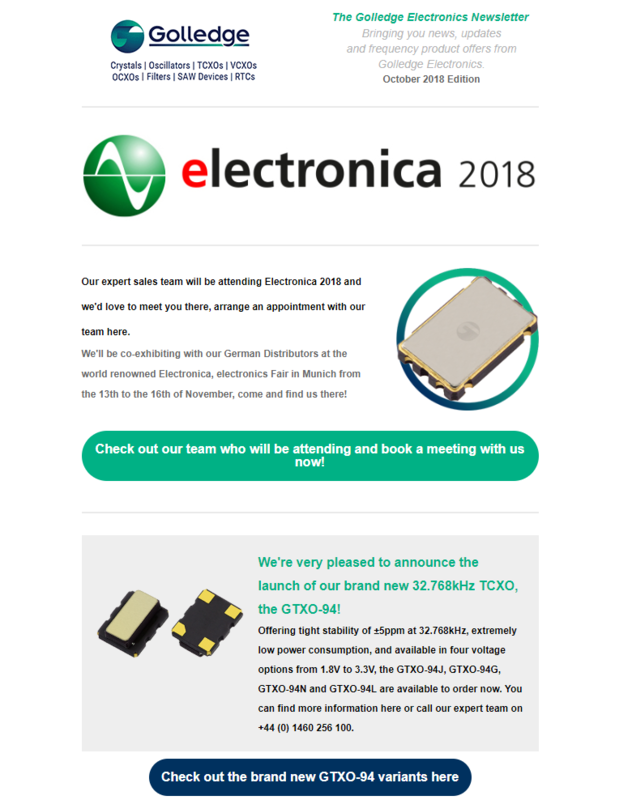 You can find more information about all the new GTXO-94 variants here, as well as some more information about the Golledge team who will be attending Electronica 2018, we hope to meet you there!